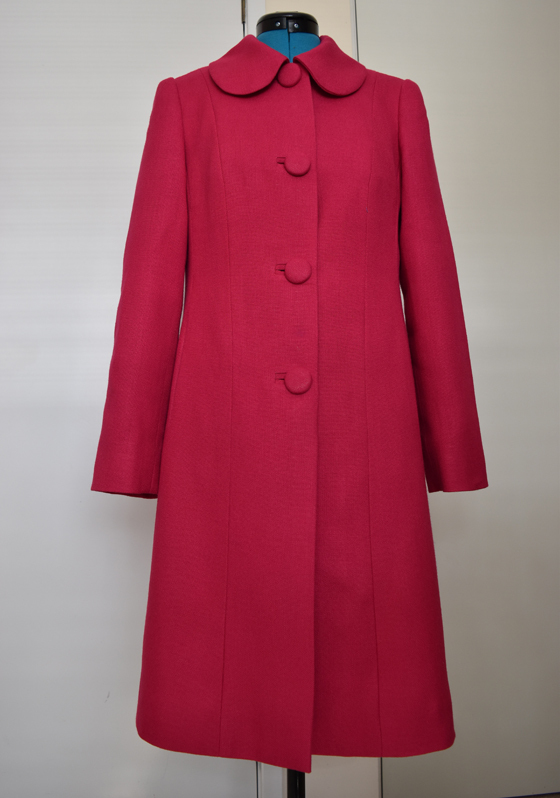 This coat is the BCN Unique Cassock Coat by Paco Peralta. 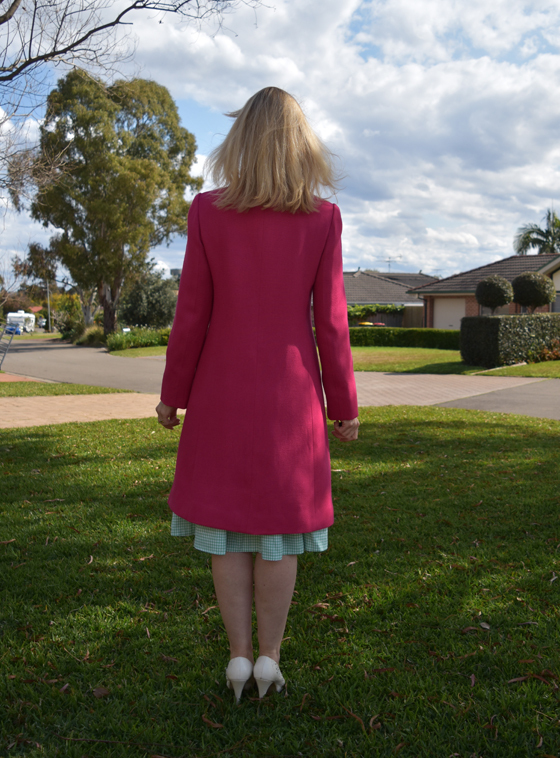 It’s a wonderful pattern and I am so proud of the finished coat. I first stumbled across this pattern through a wonderful sewing blogger Tany from Couture et Tricot, and swiftly went down the rabbit hole searching for all I could discover about Paco Peralta. His website is here and he sells his amazing hand drawn patterns on Etsy here . Tany gives an excellent introduction to BCN Unique Pattens here. 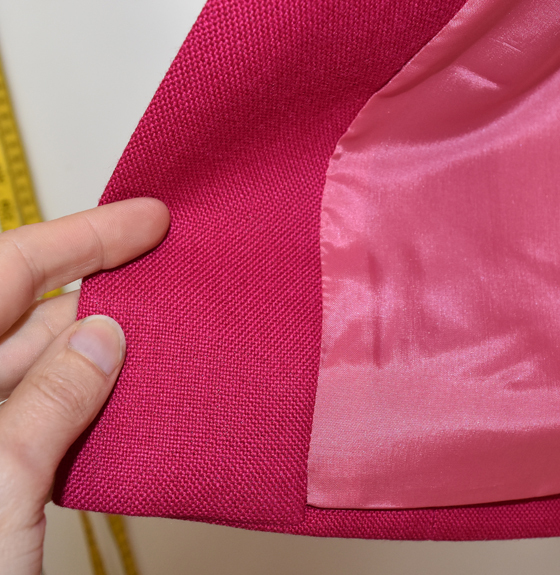 I used a heavy weight pink linen discovered at The Fabric Cave. If you haven’t already heard of this place, it is a unique charity in Sydney where unwanted stash fabric is donated to be resold at bargain prices and support the very worthwhile cause. I went to make a donation of fabric and came home with 2.7 metres of this linen. 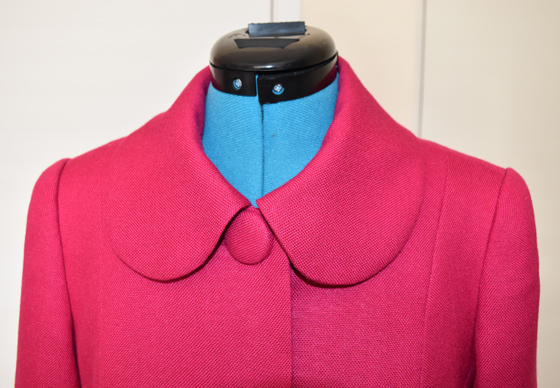 It was only 115cm wide and I just squeezed my pattern pieces on, with scraps to spare. To make everything fit I shortened the coat by 10cm/4″ so it sits just above my knee. This pattern does not come with any instructions, so I just referred to the construction posts by Tany. The interfacing map was especially useful, thank you so much Tany. Took shoulders in 1.5cm/5/8″. These are both my typical usual adjustments. For reference I am 5’4″ or 163cm. I have never had a sleeve set so beautifully. The sleeve head is both interfaced as per the interfacing map, see above) and also has a flannel sleeve head. I bagged the lining fully by machine, referring to my own notes here. 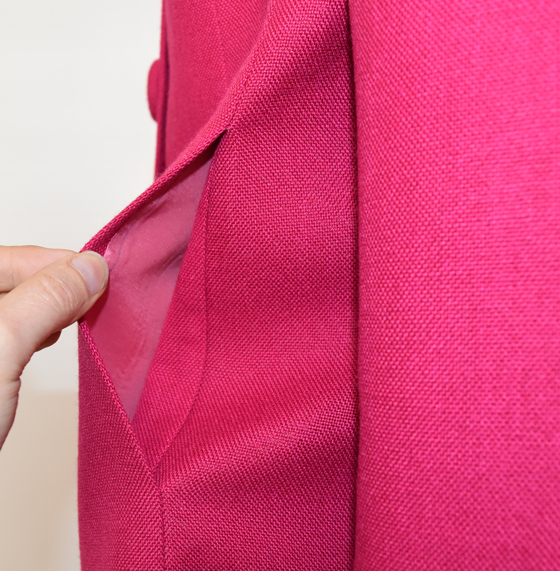 The location of the in seam pockets in the front princess seam are just perfect. The lining is just a standard acetate lining that I had in stash. This pattern is so beautifully drafted and came together so well, it was well worth the investment. It was such a thrill to work with a pattern that had been drafted by someone with many years of skill and experience, it really showed in every line and seam.